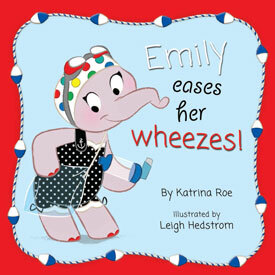 Congratulations Emily, your book is on the CBCA Notable list! If Emily tries to play basketball, she ends up puffing. What can you do when asthma stops you from playing with your friends? Join Emily and her friends as they find a way she can join in on the fun. 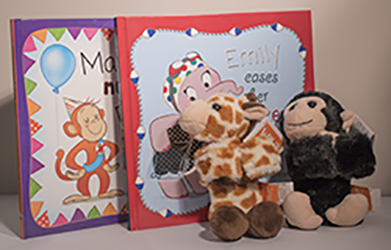 the popular title Marty’s Nut-Free Party which was shortlisted in the Speech Pathology Awards and has sold into schools and in families around the country. a likeable character has an interesting and highly relevant narrative. The main idea is explored via humorous text with familiar settings and occurrences. The language chosen has rhythm and repetition and would be well- liked by young readers. Speech Pathology Shortlist 2013. Join Emily, Marty and their friends in this new advernture to help them to understand asthma in a fun and entertaining way. Buy the Marty and Emily Toy Pack!